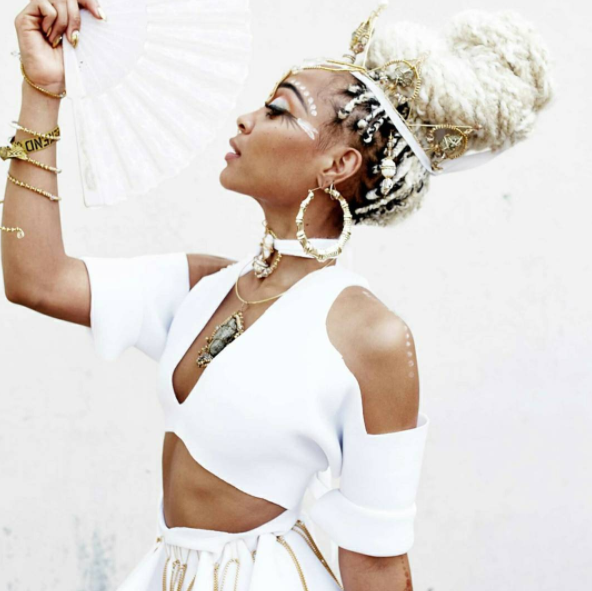 AFROPUNK is defining culture by the collective creative actions of the individual and the group. It is a safe place, a blank space to freak out in, to construct a new reality, to live your life as you see fit! The festival is hosted in five different cities every year: Brooklyn, Paris, London, Atlanta and Johannesburg. 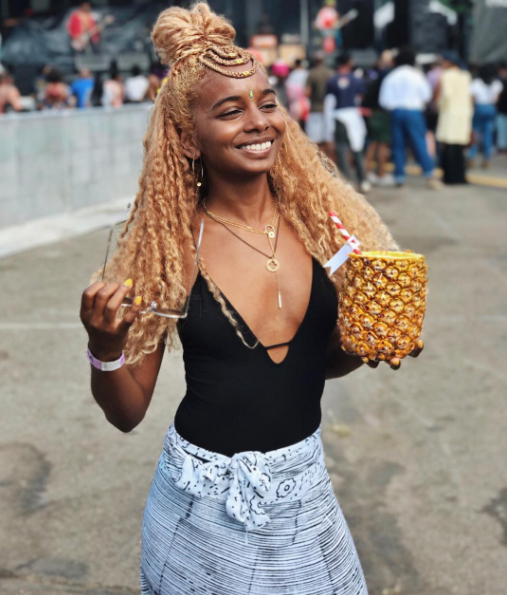 Even though I've never attended Afropunk, I'm always the most excited about AP Brooklyn just because I know everyone will not be afraid of pushing boundaries! 1. A Work of Art! @lovefola's body turned into a work of art thanks to Nigerian artist @laolunyc. @nashvillered is rocking a powerful statement by Philaprint! Can be purchased here! Thank you @eboneedavis for reminding us all that black girls are diamonds. Bonus, click here to see a video of Ebonee being carefree and black! @Anniefatwealth letting us all know that you can never go wrong with a headwrap! 5. Looking like a goddess! Sunita rocking goddess braid bang by @ancestralstrands! My favorite look by @reignglobal, you can never go wrong with an all-white outfit! Looking forward to Afropunk Atlanta now!